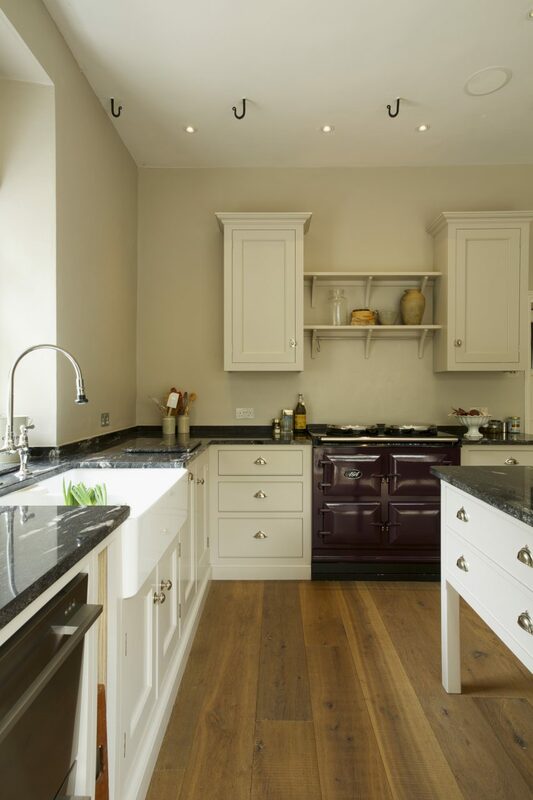 This Grade 11 listed Georgian House is situated in the most beautiful setting not far from Corfe Castle and the purbeck coastline. 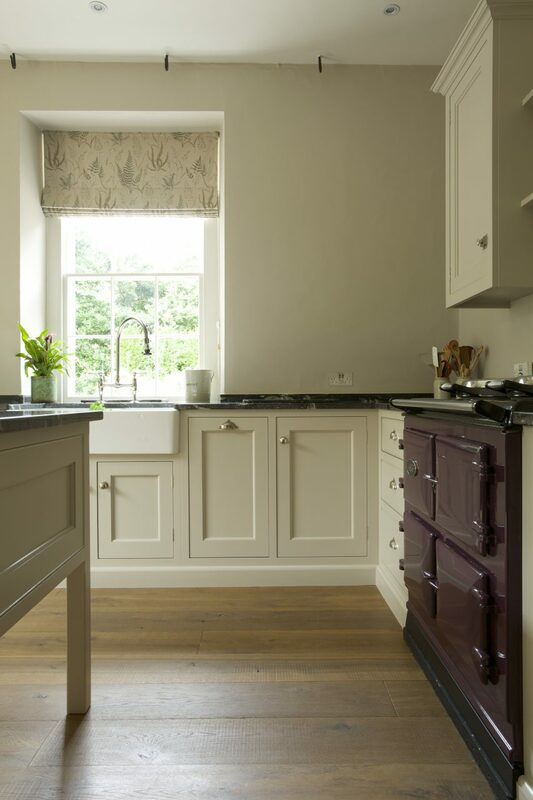 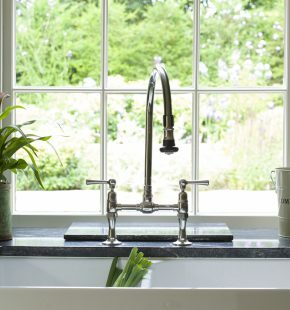 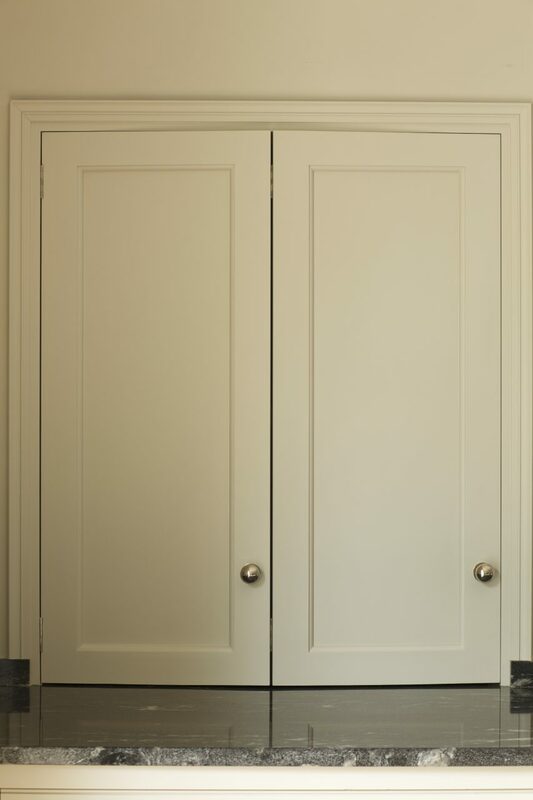 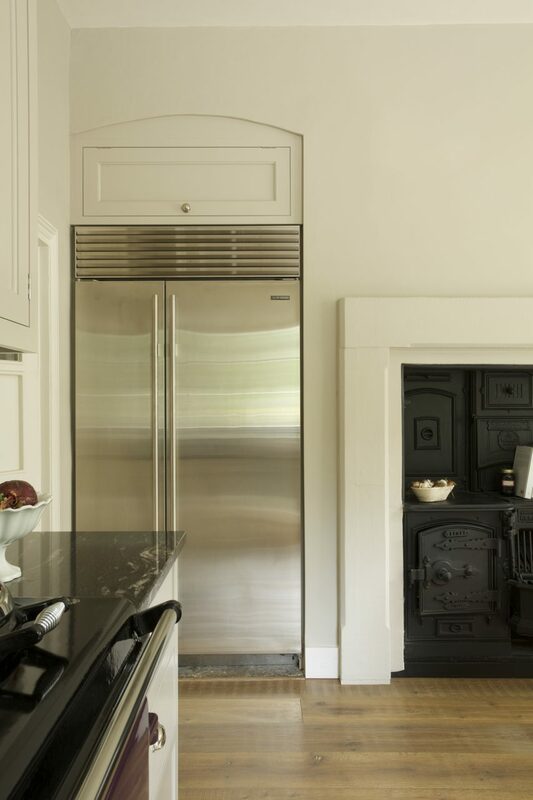 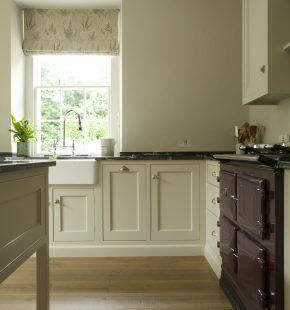 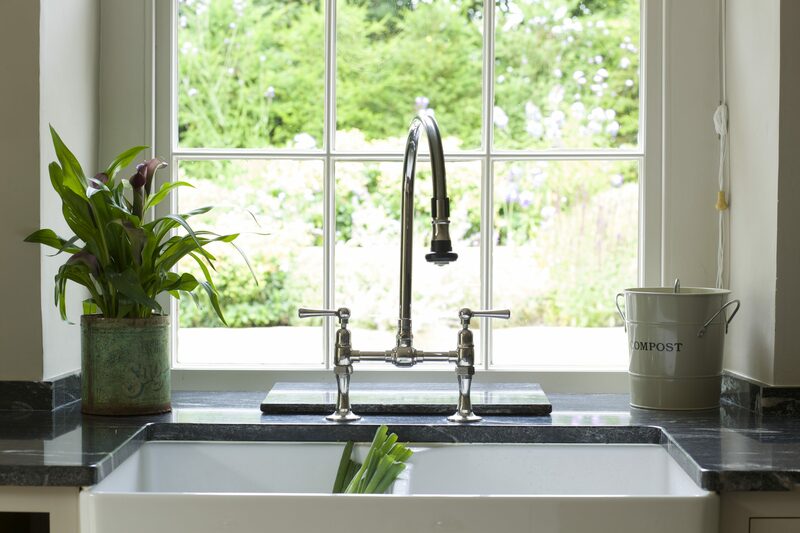 With it’s original meat hooks set into the ceiling this kitchen was designed sympathetically in the Guild Anderson Old Rectory Style, an elegant and simple design that has flat paneled doors with a soft ovolo moulding. 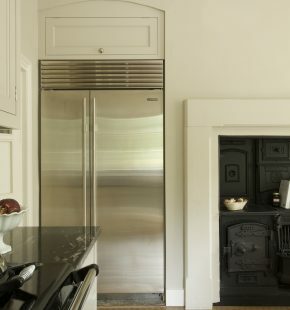 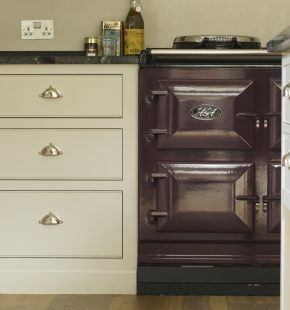 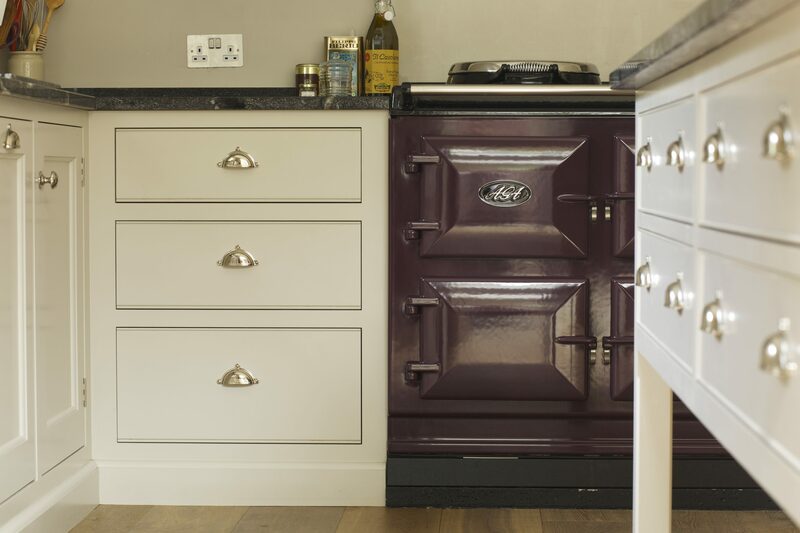 The owners retained a number of appliances including their beloved Aubergine Aga but opted for a modern day Sub-Zero fridge. 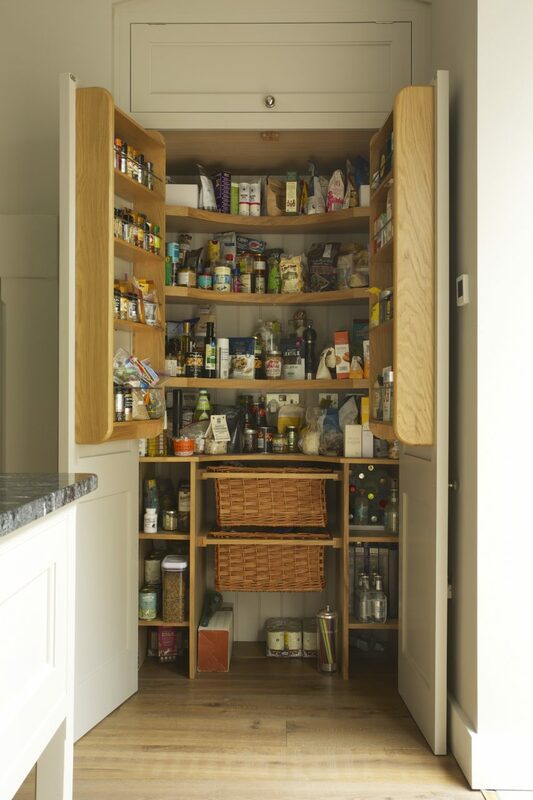 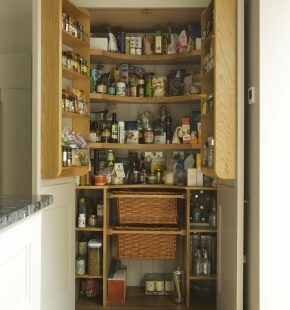 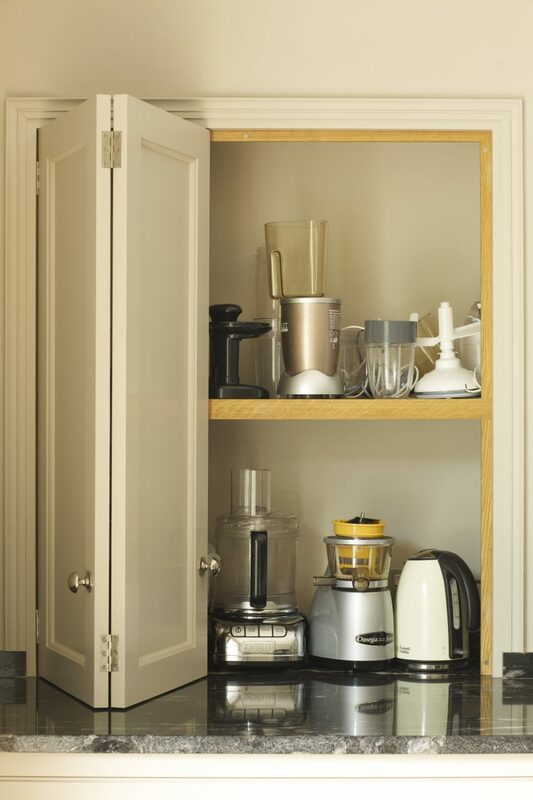 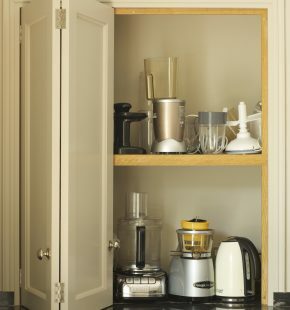 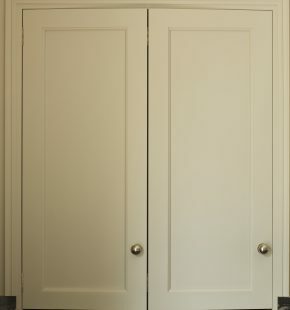 A bowman cabinet with sockets in the rear housed most of the larger appliances such as the kitchen aid and juicer and a large larder cabinet was made to house all the other essential food stuffs, in order to make it more ergonomic the oak shelves were scooped out to create a softer look. 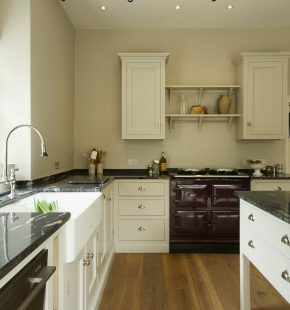 The worktops are in Black Cosmic stone, the cabinets are painted in Little Greene Mortar.